Cash for cars in Brisbane Wide now available to pick up vehicles from your home. We do have instant cash option where anybody can get a quote of their used or wrecked cars, vans, trucks as well as 4wd same time. If you also love to get a quote of your vehicles to visit the instant quote request for free here. 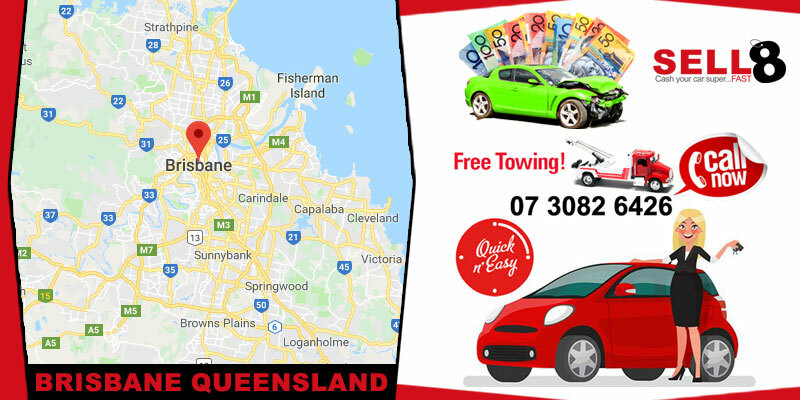 Are you stuck with the problem how to Sell My Car Brisbane wide- where our top wrecking yards include Gold Coast, Sunshine Coast, Logan, and Ipswich? Then you are in a place where the problem will be solved in almost no time. Our team members make sure that your vehicle is being awarded the maximum amount of money. Even the problem to sell your car for cash and get money for junk car is being provided. The entire team working model for any cars for cash is quite simple and of transparent nature. Simple procedures are being followed. In order to initiate the working procedure to cash your junk car, first of all, you need to fill an application form provided on the website. It helps them to fetch an idea regarding the working condition of your vehicle. Once the system is able to gain the information relating to the date of manufacturing, model name and many other things an auto quote pops on the screen. If the amount shown on the screens match up with your expectation level, then you can really continue with the working procedure. However, many a time even they receive a low quote, customers feel they would rather continue and negotiate at the end. Once a positive response from your end is gathered, it is made sure from your level that we contact you in no time. First of all our field executives make sure that you are being located. We have got our own scoring pattern. Even working is quite transparent in nature. We make sure that you are being paid a reasonable amount for your vehicle. After the evaluation is done in all aspects, the score given helps to frame an opinion for the sell your wrecked car. We finally come up with the amount finally we could give for your sell my car for cash Brisbane proposal. If the customer feels happy with the amount, the offers continue or it ends here itself. The best part is we do not make it an obligation on our customers to deal only with us as a compulsion. It is completely on the customers to sell used car Brisbane and no penalties are being imposed if not agreed up to. You wish to get paid same day money that you wanted and we make sure that once the deal is done, the payment proceeding is conducted. Either the entire payment is made in cash or is transferred in the respective accounts as per the demand is made. Once the payment is made, the entire risk and liability are borne by us. The car is towed and brought to our place totally at our own cost. The term “cash for cars” is quite common in Australia but it’s for unused vehicles. The best thing is that we provide Cash for Cars Brisbane in an instant manner and you can sell the car any condition. The entire cost of repairing and beautifying them further is borne by us. The work of the Car Wreckers Brisbane might not be an easier one. But the team of people we work with uses their expertise to develop a friendly environment and conduct the entire working in a quite convenient manner. We are ready to help you with the Car Removals Brisbane service. If you deal with us once or have any familiar face who has already dealt with us to sell my car Brisbane or rather to sell a junk car for cash, you would love to deal with us.